If you had to make a guess, what would you say the average cost of a wedding in the United States was in 2017? If you assumed the cost might be around $10,000, you’re not too far off — if we’re talking about weddings in the 1930’s. These days, the average wedding costs couples nearly $33,000, according to Fortune. Of course, this figure only represents an average. Couples who have help from families might spend more, while young couples paying on their own might bring down the cost significantly. No matter the budget of your wedding, what’s important is that you set one and stick to it. As a wedding venue in Katy, we’ve seen over the years that couples who budget effectively from the beginning end up having much better celebrations in the end. 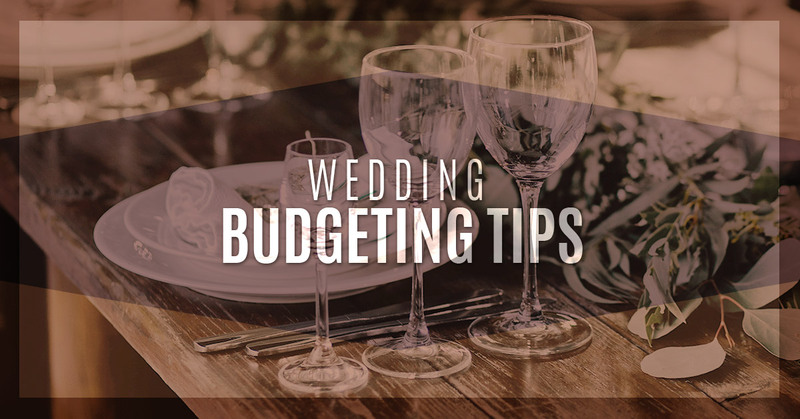 Here are some tips to consider as you set a budget for your wedding. Your venue is perhaps the most significant financial investment when it comes to your wedding. It’s a good idea to plan your budget around the venue that you want. It’s much easier to save money down the road on things like cakes (have your talented friend bake one for you), centerpieces (use natural resources available in your area), and other more minor details. It’s also a good idea to nail down your venue early. Not only do you know exactly what you’ll be paying, but you’ll also be able to incorporate the space into your plans and budget for the day. For instance, your venue might offer a catering service that you can take advantage of at a discounted rate. In terms of your overall budget, your wedding venue should comprise between 48-50 percent of the budget. It’s good practice to set aside about 5 percent of your total budget for a “rainy day” or “just-in-case” fund. Maybe there’s a whole other set of distant cousins that you weren’t planning on inviting, but your father practically demands it. Perhaps the transportation company you booked doesn’t actually have enough capacity for all of your guests, or maybe there’s a security deposit of which you weren’t aware. No matter the “just-in-case” scenario, you want to be prepared for it financially. More frequently than you’d think, couples totally forget to factor gratuities into the cost of their wedding. Remember that you’ll have to tip hotel staff, vendors, caterers, hairdressers, and makeup artists. Unless you’re entirely unsatisfied with their service, you should tip according to the usual gratuity rate. We hope these tips help as you start to budget for this important day. As a wedding venue in Katy, we offer packages that make it much easier to create a financial plan for your day. If you’re looking for a wedding venue in Katy, give us a call today at Alegria Gardens!